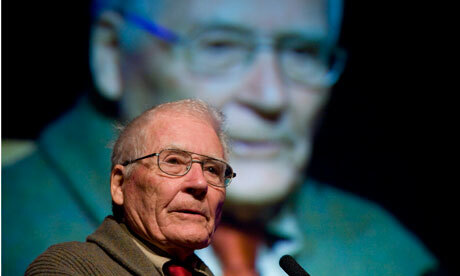 Lovelock: 'We Need To Stay Sceptical About The Projections Of Climate Models' - He now thinks he “tended to exaggerate the immediacy of global warming”, that “we may muddle through into a strange but still viable new world”, and that we can “keep our cool as the Earth gently warms, and even enjoy it when we can.” He thinks it is a mistake to take the Intergovernmental Panel on Climate Change’s “projections almost as if written in stone”; instead we “need to stay sceptical about the projections of climate models”. 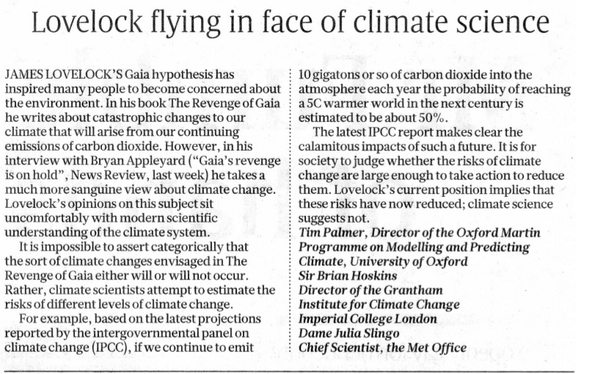 Lovelock regrets that huge sums have been 'squandered on the renewable energy sources”, many of which are “ugly and hopelessly impractical” and threaten a “green satanic change” to Britain’s landscape. Yup. He thinks that Greenpeace is “a great and powerful negative feedback on all that enlightened technological progress stands for."